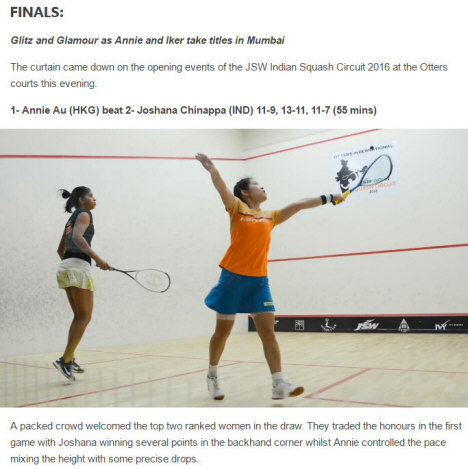 In its ongoing endeavor to promote Squash in India, the JSW Indian Squash Circuit (ISC) presents the Otters International JSW ISC 2016 to be held at the prestigious Otters Club, Mumbai from 29th Sept to 2nd Oct. 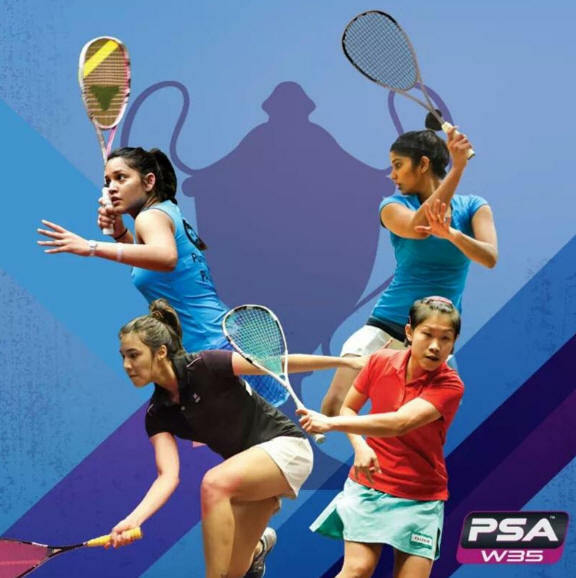 This, highest prize money Women’s Tournament, is supported by the JSW Group and will feature some of the best women players, with confirmed participation of 4 players from the Top 20 in the World including India's Joshana Chinappa (World #11) and Dipika Pallikal (world #17). 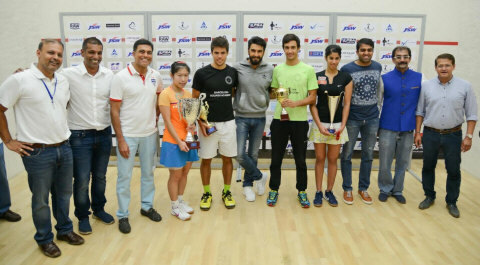 To raise the awareness of the sport by the professional delivery of Squash Tournaments in India that match the international standards of excellence; to support Indian professional players gain valuable World Class experience at home and improve their ranking points; to showcase the Sport at a more meaningful scale in India, attracting both fresh talent as well as sponsors for the Circuit with a long term view to enhance the quality of participation in its tournaments; to Conduct several camps under the aegis of ISC at various locations with the objective of equipping more juniors with skills and enthusing them to engage with the Circuit as volunteers, spectators and students of the game. "I'm very happy to see the Indian Squash Circuit (ISC) continue to grow in its 3rd year. A BIG thank you to all our sponsors, the PSA community & the entire organising team for making this possible," said Ritwik - ​PSA Representative for Asia & Promoter - Indian Squash Circuit.